White tungsten is a popular choice for jewelry buyers looking to have the same white metal color as platinum or white gold, but with the strength and durability of Tungsten. White Tungsten is made through bonding rhodium, a platinum group metal, to tungsten, which makes it white like platinum. The rhodium is heated to a semi molten state and then sprayed on to the tungsten ring at an extremely high velocities. This forms a coating which is very scratch resistant because the material is embedded into the tungsten rings and becomes one with the ring. White tungsten is also good for the small percentage of people who have nickel allergy. Normal tungsten carbide rings contain nickel even though the low percentage. Rhodium is one of the most hypo-allergenic metals. Even given all these benefits, some people will still compare white tungsten to platinum or white gold instead. The expense of platinum is cost prohibitive to most, which leaves white gold as a serious consideration for the majority of ring buyers. In order to make an informed decision, consider the characteristics of white tungsten vs white gold. - White gold is an alloy of yellow gold and various other elements. - White gold is graded (karats) and hallmarked while tungsten is ungraded. - White tungsten does not contain nickel, but rhodium instead. Now let’s examine those in more detail. White gold is an alloy. It is derived from traditional yellow gold that is mixed with a white metal like palladium, manganese or nickel. One common formula is 9 parts gold to 1 part nickel. Copper and zinc are also often used in jewelry formulations. Also, because of the nickel component, some people find they are allergic to white gold and develop a contact rash where the item is worn. White gold is graded like yellow gold, by karats. The higher the number, the more gold it contains. Although it is cheaper than yellow gold, white gold is still much more expensive than white tungsten. The alloy is usually covered with a rhodium plating to even out any resulting off-white coloring. Many people mistakenly believe that this is the color throughout. White gold is softer than white tungsten and is much more prone to scratching. This makes it unsuitable for everyday wear by people who work in professions that are hard on jewelry. Even consumers in less demanding fields have complained of how easily white gold scratches. Tungsten Carbide, commonly referred to as just tungsten, is an extremely popular choice for jewelry shoppers who are looking for something out of the ordinary. Tungsten was identified as a metal as far back as 1783, and tungsten carbide is a mixture of equal parts tungsten and carbon. It has been a part of numerous industrial applications in the last century. However, it is only in the past decade or so that Tungsten has become a fashion option for the general public. When it comes to alternative jewelry metals though, there is more than one contender in this class and titanium is often the other choice. Shoppers looking beyond traditional platinum, gold and silver will want to compare tungsten to titanium. 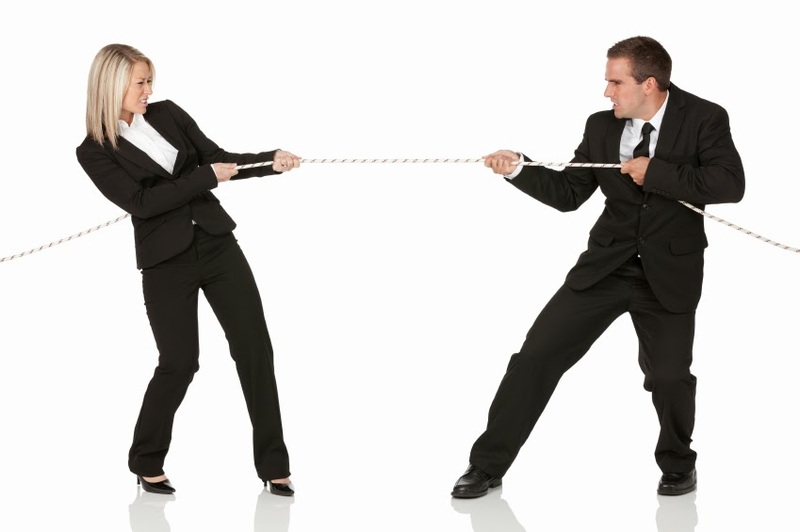 For most people, cost is a major factor in their decision making process. With tungsten and titanium rings though, the cost will be very similar and depend largely on the intricacy of the design or if there are any special finishes involved. On average, consumers will pay far less that white or yellow gold, and even 10 times less than platinum. For these two materials, the deciding factor often comes down to the characteristics of each. Now let’s examine these features in more detail. Tungsten carbide is an extremely hard and dense metal. It is ten times harder than 18 karat gold and four times harder than titanium. This makes it fantastically durable. It also has a melting point of 5,200 Degrees Fahrenheit, which is part of what makes it very popular as an industrial cutting tool. Despite its superior strength, tungsten is lighter than traditional metals and takes and holds a brilliant shine. In jewelry terms, this means a tungsten ring will be comfortable, lustrous and srong. These rings are perfect for everyone to wear every day. In contrast to softer metals like platinum that scratch easily, tungsten is elegant enough for the most polished executives and practical enough to wear during any activity. Although the density of tungsten makes it somewhat susceptible to shattering the fact is that if something does shatter this ring, the wearer probably has far greater issues to deal with, like a runaway vice grip. Titanium compositions can range from 99.2% titanium, known as "commercial pure" to primarily 90% titanium, 6% aluminum, 4% vanadium, known as “aircraft grade”. It is also very strong and light. 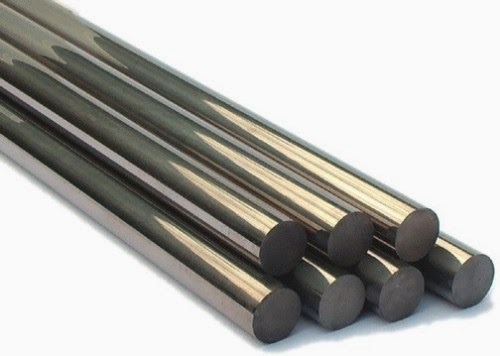 Its strength to weight ratio is greater than any other crystalline metal. It is lighter than traditional metals and even lighter than tungsten, but some wearers do not like this as it can feel less substantial. Titanium is also hypo-allergenic, meaning non-toxic to the human body, and resists corrosion well. Unlike tungsten, titanium may require polishing by a jeweler from time to time as it can show scratches. Neither titanium or tungsten are easy to adjust or resize, however they are so much cheaper than gold or platinum that it is often more practical to just replace them. Renowned for its strength and admired for its scientific nature, Tungsten is frequently seen as a favored option for men’s rings. It is also available in women’s styles, with several tungsten wedding set designs gaining popularity. The beauty, durability and affordability of tungsten make it an excellent choice for rings. How are Tungsten Carbide Rings Made? Tungsten carbide rings have grown greatly in popularity over the years. They’re one of the few materials that do not bend, tarnish, and are very scratch resistant. Unsurprisingly, owners and fans of tungsten carbide jewellery have wondered how these rings are created. In this article, we’re going to show you how manufacturers put together these rings and how many of the common problems presented by this material are overcome. The Moh’s hardness scale is essential for understanding why tungsten carbide rings are made in the way they are. Tungsten carbide is an extremely hard material. It’s so hard that there’s a risk of it shattering. This is why an additional carbon alloy will be used to balance the material. Back to the Moh’s hardness scale, this is a measure of hardness used for metals. To give you some perspective, a diamond would have a rating of 10 (the highest rating). 18k gold has a mere rating of 2 on the hardness scale. 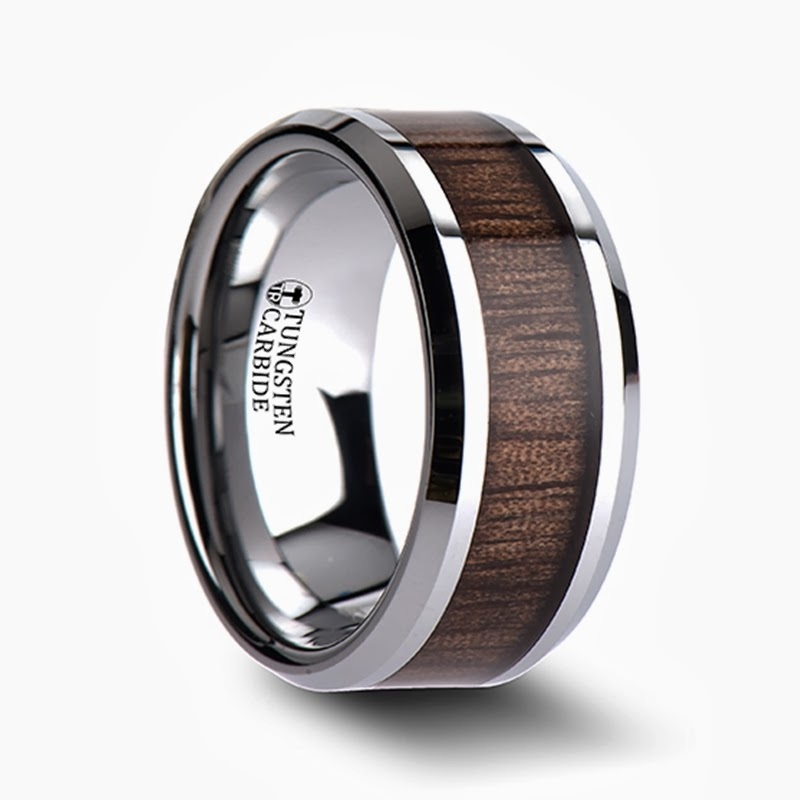 Tungsten carbide has a rating of eight. To make the ring blank, carbon and tungsten are ground up until they’re both fine powders. This powder is placed into a high pressure environment with dies and moulds, depending on the type of jewelry. After being pressed into the moulds, they’re fired in a furnace at 6000 degrees Fahrenheit. Oxygen is removed from the furnace to prevent oxygenation of the metals. Now you have a ring blank. After the ring blank has been created, the ring will be cut and crafted by hand. This process requires highly precise crystalline diamond tools and various abrasives. Since the material is so hard, it needs a harder material to make the cuts. And one of the only materials that can do this is diamond. This is why these rings are often so expensive. In total, there are about 30 different steps to create the perfect ring. It’s similar to the way diamonds are cut and polished. There’s not enough space to go through each step here, but there are plenty of videos and guides on how it’s done. After the master jeweler completes the steps, the ring has been created and now it’s time to polish it up and sell it. The above process outlines how to make a simple tungsten carbide ring. Inlays of gold, silver, and other metals can be added. This complicates the process and adds additional steps. Lasers are used if the wearer wants an engraving. Lasers are the only way to get through the tough metal layers and maintain the right level of precision.